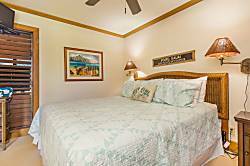 Kiahuna Plantation is the only condominium complex on Kauai that is beachfront on a beach that offers safe swimming all year long. 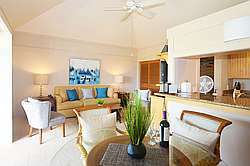 This makes it one of the most sought after places to stay on Kauai, especially for families. 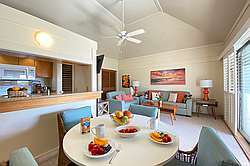 The complex offers expansive lawns and gardens with BBQ areas and a restaurant. 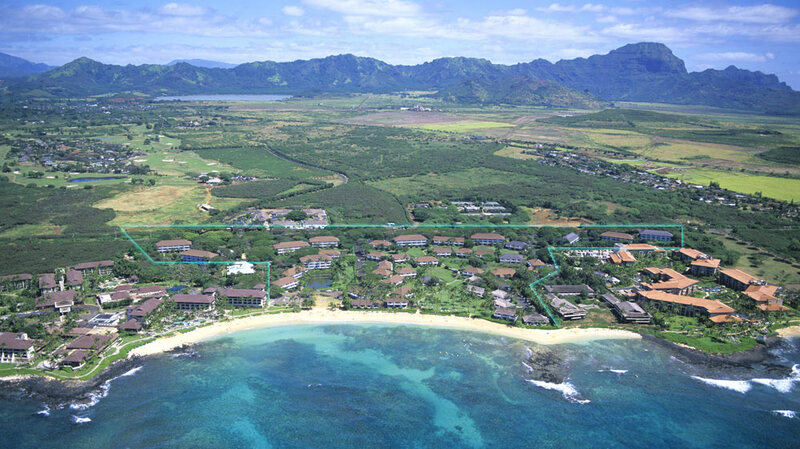 The pool, tennis courts, basketball court and fitness center for Kiahuna Plantation are located across the street at the Poipu Beach Athletic Club. We show invidual units available at Kiahuna Planation. 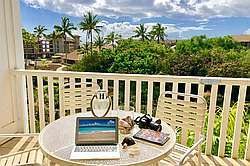 If you book through sites like Expedia.com, Hotels.com, Outrigger or Castle you won't be able to pick your unit. Instead you're assigned a generic unit from their inventory, and you won't know what the decor is like. You could very easily get an outdated unit.. 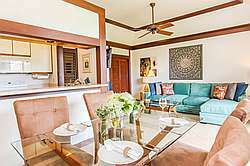 This very unique property occupies 35 lush acres between Poipu Beach and the Poipu Shopping Center adjacent to the newly renovated Poipu Beach Athletic Club. 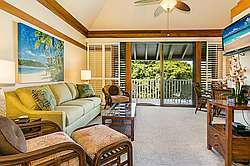 There are very few properties on Kauai that front a stunning award-winning sandy beach..
One bedroom, sleeps 4 surrounded by tropical tranquil setting, short walk to wonderful south shore beaches. 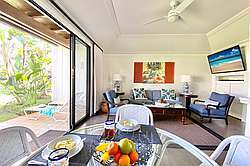 Exceptional one bedroom at Kiahuna Plantation located on the second floor. Close to beaches. 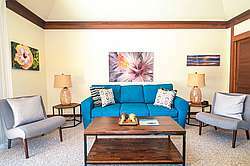 A large picture window and sliding glass doors let natural light flood the comfortable living room. Watch the flat-screen TV from the couch, which doubles as sofa sleeper. 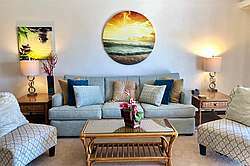 Awesome 1 bedroom condo a short walk to Kiahuna and Poipu beaches. Unit 431 is in building 41 on the 3rd Floor. 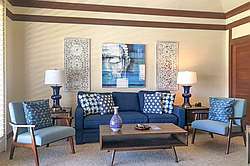 Fantastic 1 bedroom property on a resort that occupies 35 lush acres between Poipu Beach and the Poipu Shopping Center adjacent to the newly renovated Poipu Beach Athletic Club. 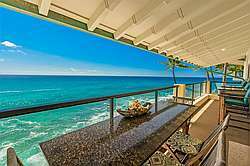 There are very few properties on Kauai that front a stunning award-winning sandy beach. 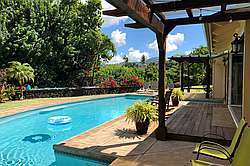 Beautiful location in the center of Kiahuna Plantation overlooking the Interior Horseshoe and plantation-style bridges. 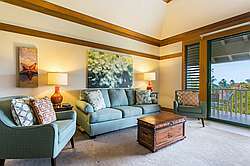 This very unique property occupies 35 lush acres between Poipu Beach and the Poipu Shopping Center adjacent to the newly renovated Poipu Beach Athletic Club. 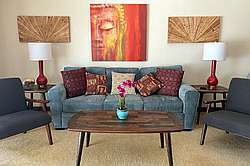 1 bedroom condo on the second floor in building 38 that can sleep 5. 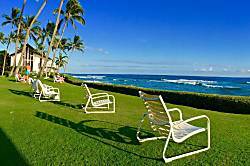 Only a five minute walk to Kiahuna beach and across the street from the Poipu Beach Athletic Club. 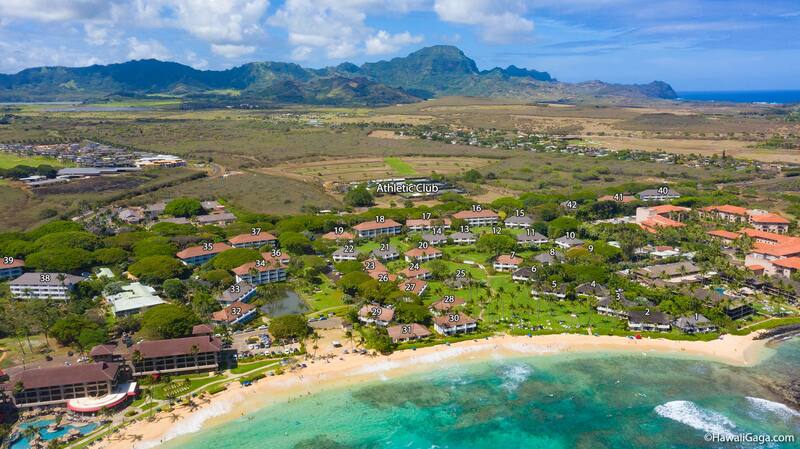 Not only does Kiahuna Plantation 420 come with a vacation membership to Poipu Beach Athletic Club, but a free midsize car rental for exploring the island too! There's nothing better than beach life, and at Kiahuna Plantation 248, you can walk just 5 minutes to the beach and its great snorkeling, swimming, and surfing! 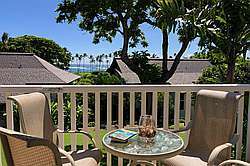 Plus, the lanai has beautiful distant ocean views. 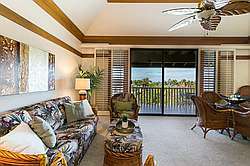 BEACH FRONT 1 bedroom condo with awesome ocean views on stunning Kiahuna Beach. Not only does Kiahuna 40 come with a vacation membership to Poipu Beach Athletic Club, but a free midsize car rental for exploring the island too! 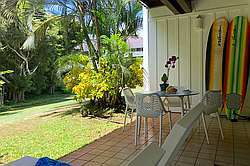 This one bedroom corner unit at is a short walk to awesome Poipu beaches. One bedroom unit located on the second floor in building 38. Only a 5 minute walk to the beach. 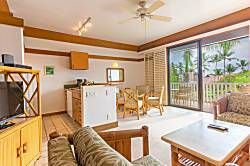 Terrific 1 bedroom unit at Kiahuna Plantatioon with a short walk to amaazing Poipu beaches. 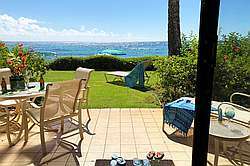 This unit has an ocean view! Charming cottage style 1b/1b living. 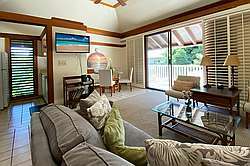 Relax on your private lanai overlooking 35 acres of gardens while still being just steps to the sand. 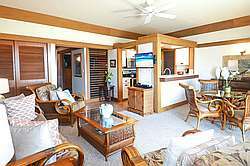 Deluxe 5 bedroom ocean bluff home in Princeville with Air Conditioning!